‘Macros’ are short for macronutrients on the internet amongst those who are concerned about strategically shaping their bodies through carefully crafted exercise and resistance training protocols. Macros (macronutrients) are what makes up the food we eat each day in order to live and function. Macro means large, and micro means small. If you’ve heard the term, micronutrients, you’ve probably heard the term, macronutrients. Macronutrients are needed in large amounts by the body, while micronutrients are needed in much smaller amounts. Macronutrients are made up of four categories: protein, carbohydrates, fat, and alcohol. Micronutrients can be found inside of those macros above. These are also known as vitamins and minerals and there is a wide variety of these that are needed for proper function in the body. Each macronutrient contains a certain amount of calories per gram. Let’s get into each macronutrient and their importance. The following section is taken from my in-depth guide: How To Count Macros. This macro is what we all think of when it comes to building muscle, but it’s also equally important for maintaining muscle mass on a fat loss diet. Protein is responsible for many functions in the body, but for this guide, we’ll focus mostly on how it helps us repair muscle tissue that’s been broken down from hard resistance training. When your body undergoes muscle repair, turnover, and thus, growth, this is a physiological process called anabolism, which is why protein can be considered anabolic. What’s The Ideal Amount To Consume? The research suggests a range of .8g – 1.5g per pound of body weight. 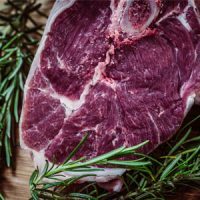 However, depending on your preferences for protein intake, trying to consume 1.5g per pound can be quite the challenging (and sometimes expensive) task. It can also make it harder to get other macros that are equally as important as protein. For most people, the recommendation of 1 gram per pound of body weight is likely ideal for positively changing your body composition. If you’re very overweight (with more than 50 pounds to lose), then multiplying your body weight by .7 – .8 is a great way to calculate your intake. Read more about the science of how much protein you need per day. While protein is important for muscle gain, maintenance, and repair, eating above and beyond the above recommendations for daily intake will not magically make your muscles grow faster nor will it aid in faster fat loss. More is not always better when it comes to protein. If you need some more protein-heavy food ideas for your intake, read how to eat more protein. This macro is absolutely necessary for health, performance, and improved body composition. While it may be a hot debate about how many carbohydrates are necessary among low-carb zealots, we know a few things for certain. The brain uses up to 20% of our daily expenditure, and it runs on glucose, which is the simplest form of sugar broken down in the body. To get technical, the body can survive on zero carbohydrates, but this is not ideal. In this case, the body will break down the protein you’ve eaten, as well as your muscles, to use as glucose. Carbohydrates are stored in your liver and in your muscles. The stored carbohydrates are known as glycogen, and this is the primary fuel source for your high-intensity activities (hello weight training and sprints). There is no ideal amount for every single person, but I like to see a minimum of 1 gram per pound of body weight at all times. And some people have been known to consume upwards of 500+ grams per day when being active and training regularly. This is largely dependent on your body size, activity levels, and your primary form of exercise. A good range to think about is somewhere between 1 and 3 multiplied your body weight depending on the goal (fat loss, muscle gain, maintenance) and activity levels. Carbohydrates are also a precursor to thyroid hormone production, so a diet too low in carbohydrates can spell disaster for thyroid and metabolic health. Obviously, someone with a high activity level will require more energy than someone who sits all day, so this is the reason for such wide range of carbohydrates. Read Don’t Fall For The Low-Carb Trap to learn more about why low-carb diets aren’t the best solution for most people. Since fiber is not fully digested, some believe you shouldn’t account for it, but for ease of tracking, always account for it when tracking because your intake can vary from day to day and it’s probably not worth worrying about in the end. This macro is an essential nutrient we all need, and it helps with the absorption of the fat-soluble vitamins (D, K, E, A). Fat is also an energy source, right behind carbohydrates. We burn fat when we’re at rest. It’s the backup fuel source and is easily stored in the body as fat. And this makes sense based on how we survived throughout periods of feast and famine. Fat also helps with hormone production (testosterone for men, progesterone for women), so a diet too low in fat could be detrimental to your hormonal health. It will depend on the individual and their needs, but someone with a higher energy expenditure from more activity will be able to eat more fat due to the demands on their body from an energy balance perspective. In terms of a range, anywhere from 15-25% of your overall caloric intake is probably ideal. This allows for enough fat in the diet to cover vitamin absorption and hormone production needs, as well as makes your food taste good. 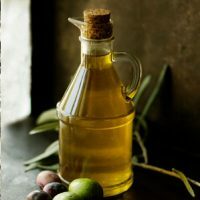 It’s often a misconception that eating a lot of fat will make you fat. But eating lots of fat (or sugar) will not make you fat if you’re maintaining a caloric balance, or in a deficit. I explain more in this article: Is Sugar Bad For You And Does It Make You Fat? To get a full nutritional education on protein, carbohydrate, and fat, I highly recommend picking up a copy of The First Diet by Sean Bissell. You can read my review here. This macro is a non-nutrient and is not needed by the human body unless you’re just trying to relax or need some liquid courage to talk to that stranger at the bar you fancy. * In fairly moderate amounts, it is toxic and people die of it every single day. 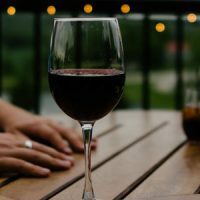 Remember that alcohol does contain calories, and for every gram of alcohol, there are 7 calories. *but even then, it’s not needed. There are a TON of fat loss, muscle gain, and maintenance calculators on the web. There are also a ton of BMR (basal metabolic rate, which means what you burn at complete rest) and activity calculators online to help you establish a starting point. Regardless of what you use, there’s one thing you must know. All of these are good estimates and starting points. Oftentimes, these calculators will spit out a caloric recommendation based on your body weight. 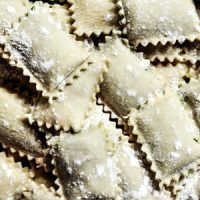 And the macronutrient percentages it recommends will often be in percentages, as opposed to recommendations based on your total body weight, or calculated lean body mass. FYI: lean body mass is your body weight minus the total fat mass. So if someone weighs 200 pounds and is 30% body fat, their estimated lean body mass would be around 140 pounds. When you’re determining your total caloric intake, it’s almost always better to use your current body weight for protein and fat recommendations, rather than relying on percentages. In this case, this is an abysmal protein recommendation for an exercising person, especially someone who is weight training. Not only are the calorie recommendations low, the protein intake is going to be very suboptimal if I want to maintain deez gainz. Their system is largely percentage/algorithm based, so I do not recommend relying on these types of calculators for determining macronutrient needs. Determine your total maintenance calorie needs. Set a moderate deficit of 300-500 calories less per day. Fat can be set to around 20-25% of your total calories, or you can determine your fat intake by multiplying your bodyweight (in pounds) by 20-40% to get a total number in grams. 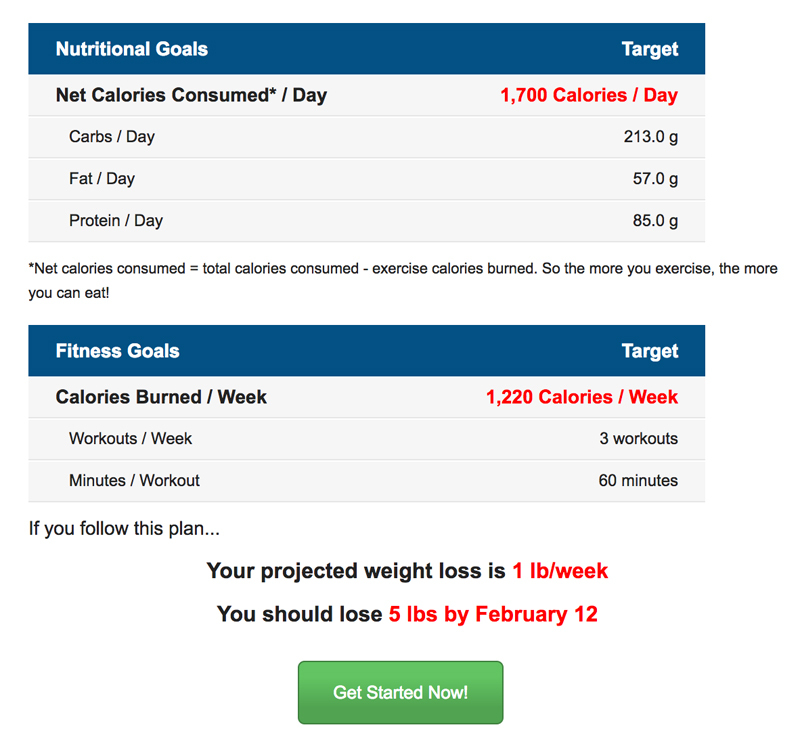 To read more about how to properly setup macros for fat loss, read this: how to implement a practical weight loss plan. Should you count calories or macros? Ideally, you should track macros because your macros make up your calories. End of story. In the end, as long as you create a negative energy balance, that’s all that matters. Read my guide on How To Count Macros for an in-depth explanation. If It Fits Your Macros is a way of being extremely flexible with your eating as opposed to the rigidity that often comes with fat loss diets. The basic understanding of IIFYM (if it fits your macros) is that you can essentially eat any foods you’d like as long as it falls within your daily caloric needs, but more precisely, as long as those foods fall within your macronutrient goals. The idea is regardless of losing fat, building muscle, or maintaining body composition, as long as you hit your macros, it doesn’t matter if it’s from pizza and pop tarts, or oatmeal and boiled chicken. In the end, there are people losing body fat eating junk food, and people doing similarly well on the most boring diets known to man. Fish and rice cakes, anyone? IIFYM is nothing special. It’s just another way of having foods you enjoy while still maintaining a caloric balance of your choosing. In fact, I’m it’s pretty common that IIFYM diehards are likely lying to you about their intake. For the most part, no. Clean eating is an incredibly odd way of viewing food and when I wrote about it long ago, I got a lot of heat for it. We follow the 85% rule here, which means 85% is all that’s needed to successfully reach your goals. You need to be consistent with training 85% of the time. This means you’re not always going to be perfect. You’re going to miss sessions every now and again because you get sick, or you have a late meeting, or you go on vacation. The same goes for nutrition. I’m a huge proponent of maintaining a diet full of whole foods, but you should definitely treat yourself now and again. So, 85% of the time, make sure you eat a variety of whole foods to reach your vitamin, mineral, and energy requirements, and 15% of the time, enjoy whatever you like — anything goes. It could be ice cream, cake, pop tarts, chips, soda, candy, whatever you want. So whether you want to eat clean, follow Paleo, be a vegetarian, or follow The First Diet guidelines (my preferred method), if you adhere to the 85% rule, you can’t go wrong. If you answer ‘yes,’ then it’s probably a solid choice for regular consumption. If you answer ‘no,’ then it might be best left for the occasional treat here and there (follow the 85% rule). Now that you know what macros are, it’s time to learn how to count them, that’s if you’re interested in tracking your intake for better body composition. 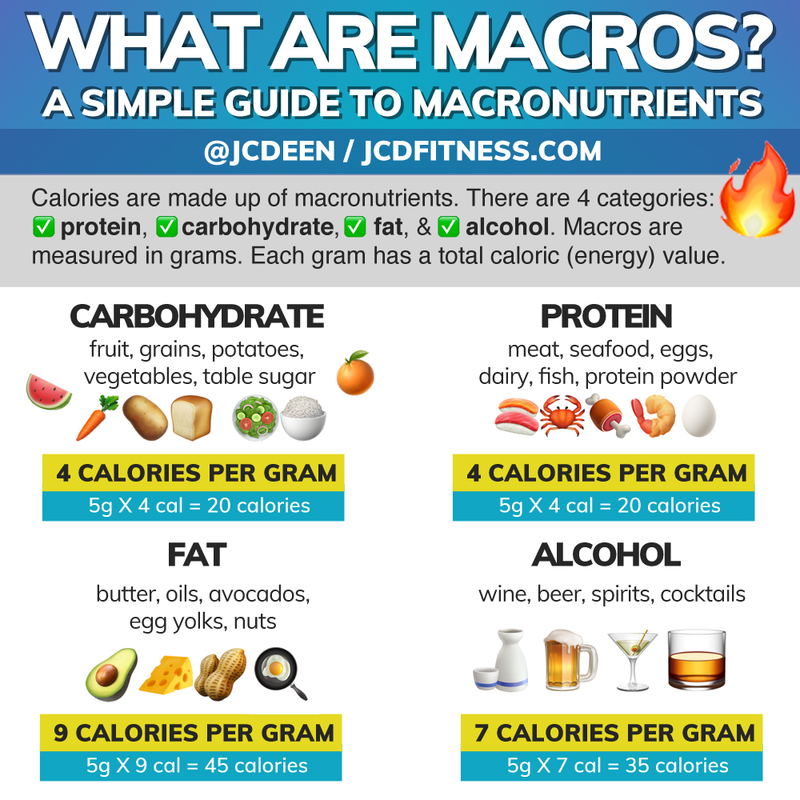 Be sure to check out my full guide, How To Count Macros and let me know what you think.